So this is happening right now (1:30 PST on February 19) in the skies above Palo Alto and San Jose, CA. 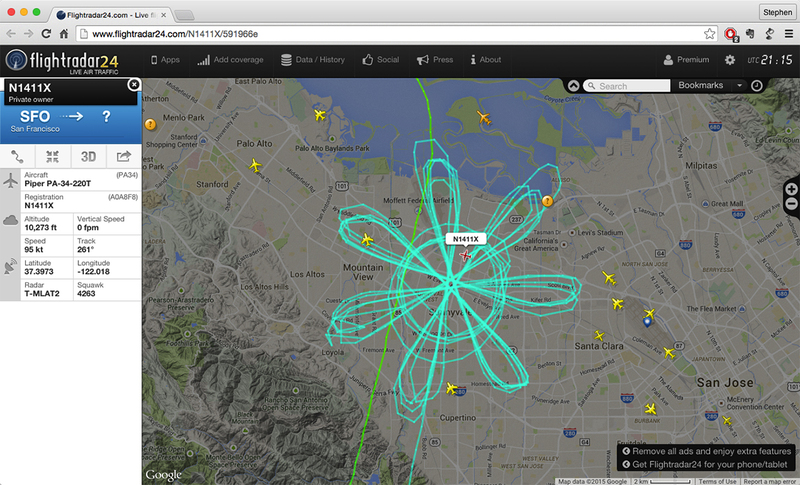 A small aircraft (Piper PA-34 #N1411X) is “drawing” a flower in the sky. How cool is that? Kudos to the airborne artist! This entry was posted in Uncategorized and tagged floral art, gps, gps art, sky writing, small aircraft. Bookmark the permalink.